Should you get a two-year or five-year fixed-rate mortgage in 2019? Whether you’re buying your first home or remortgaging to get a better deal, you might be wondering how long you should fix your rate for. Here, we compare two of the most popular types of mortgage – two-year and five-year fixes – and explain the key things you’ll need to consider when choosing how long to lock a rate in for. If you’re thinking of remortgaging, you can get an expert recommendation on the cheapest deal for you by calling Which? Mortgage Advisers on 0800 197 8461. How much do fixed-rate mortgages cost? In the past 12 months, rates have crept up from the historic lows seen in late 2016 – but fixed-rate mortgages still remain competitive. Rate rises have been particularly noticeable in the two-year market, where the average cost of a mortgage has increased by 0.17% to reach 2.52%. 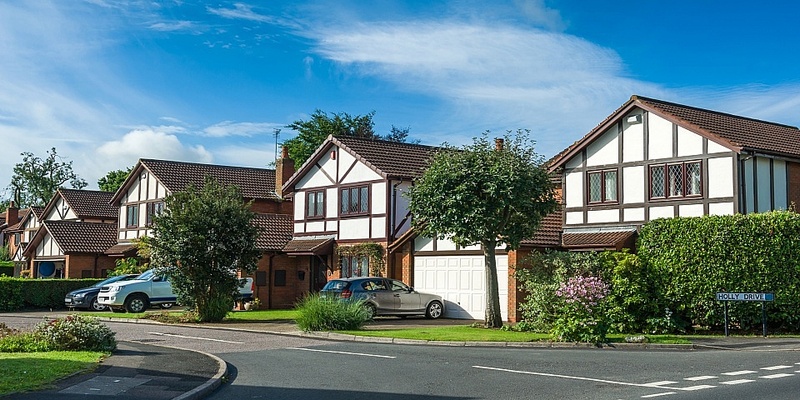 This rise has made five-year fixes – which increased in cost by just 0.07% in 2018 – more attractive to homebuyers and remortgagers. With more products coming to the market and rates remaining stable, five-year deals became more popular in 2018 – but in truth, the gap in cost between two- and five-year deals has been closing for a while now. As the table below shows, the gap has narrowed by around 0.10% each year for the past four years. Why have two-year fixes become more expensive? For a long time, two-year fixed-rate mortgages dominated the market, with lenders scrambling to offer the best rates, particularly at popular loan-to-value (LTV) levels such as 75% and 80%. This resulted in rates hitting historic lows in Autumn 2017. Since then, the Bank of England base rate has increased from 0.25% to 0.75%, meaning these incredibly low rates have largely disappeared. With that in mind, lenders have focused their deals on other markets – such as longer-term fixes of five years or more. The shift towards longer fixes also reflects changing consumer attitudes. Homebuyers and remortgagers are increasingly looking to protect their mortgage rate for longer during a time of economic and political uncertainty. Find out more: what will Brexit mean for mortgages and house prices? While the table above shows the average rates currently on offer, the cheapest introductory rates are considerably lower. Indeed, remortgagers at 75% LTV can enjoy interest rates well below 2% on both two-year and five-year fixed terms, as shown in the charts below. Whether you can access the best rates on the market will depend on your individual financial circumstances, so it’s worth getting professional advice from an independent mortgage broker before applying. So should you choose a two or five-year fix? Your decision should be based on three key factors: your finances, when you plan to move house, and your appetite for risk. Offers you the flexibility to negotiate another deal after 18 months. You will only be protected from rate rises for two years, so if mortgages become more expensive in that time, you could struggle to switch to an equivalent deal. Even if you’re buying or remortgaging at 90% LTV, you could still get an introductory rate below 2%. You’ve missed the boat for the very cheapest rates, and with prices on the rise, you may need to apply soon to secure a good rate. With more than 2,000 products on the market, buyers and remortgagers have plenty of choice. You’ll need to be on the ball to avoid being passed on to your lender’s standard variable rate (SVR) after two years, which will be considerably more expensive. Offers rate security for longer – you’ll be protected from the effect of any increases in the Bank of England base rate for half a decade. Many of the best deals come with high early repayment charges (ERCs), which can be as much as 5% if you leave the mortgage in the first year. If it’s even a slight possibility that you might need to move within the next five years, consider a shorter-term fix or find a deal with no ERCs. Rates are exceptionally good at the moment, with lenders fighting to top the charts. Five-year deals are still around 0.4%-0.5% more expensive than equivalent two-year products. You’ll be able to avoid the second lot of arrangement fees that you might face if you were to switch deals at the end of a two-year mortgage. If mortgage rates drop, you’ll be stuck paying the rate you fixed at for five years. Find out more: how do fixed-rate mortgages work? Will mortgages stay cheap in 2019? With uncertainty around Brexit and the future of the base rate, it’s difficult to say what might happen in the mortgage market in 2019. There are two key emerging trends to be aware of, however. First of all, lenders are increasingly substituting low rates for up-front incentives. With this in mind, don’t be surprised to see fee-free and cashback offers continue to evolve in 2019. When comparing mortgages, always look at the full cost of deals rather than focusing solely on their initial rates or incentives – and take advice if you’re unsure. This could also be a good year for people with small deposits. 95% mortgages got cheaper in 2018, and with lenders facing pressure to be more dynamic in their offerings, don’t be surprised to see more deals offering higher income multiples this year. People looking to remortgage with an outstanding Help to Buy equity loan could also see more options come on to the market in 2019. If you’re buying a home or are considering remortgaging to a better deal, it can help to take advice from a whole-of-market broker, who can find you the right deal for your circumstances. For impartial, expert advice, call Which? Mortgage Advisers on 0800 197 8461 or fill in the form below for a free callback.